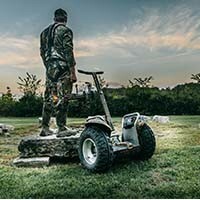 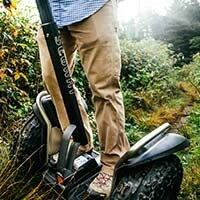 The environmentally-friendly, electrically powered Segway Personal Transporter (Segway PT) is a novel and alternative form of personal mobility transportation. 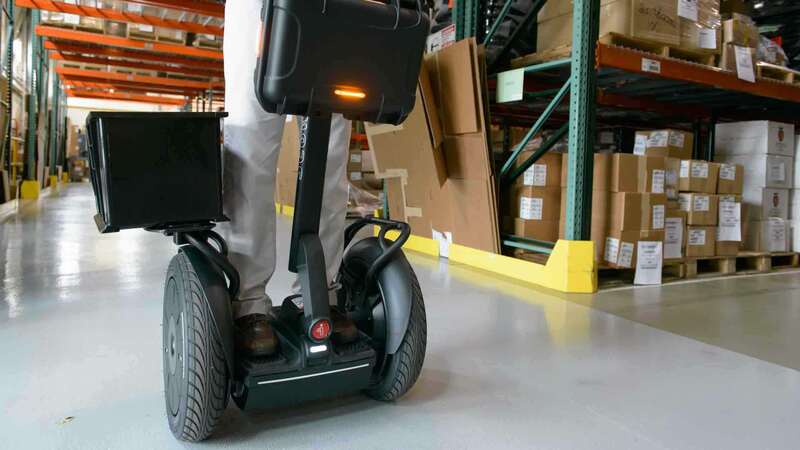 The Segway PT can take you places that a car or bicycle can’t – including inside many businesses, airports and office buildings. 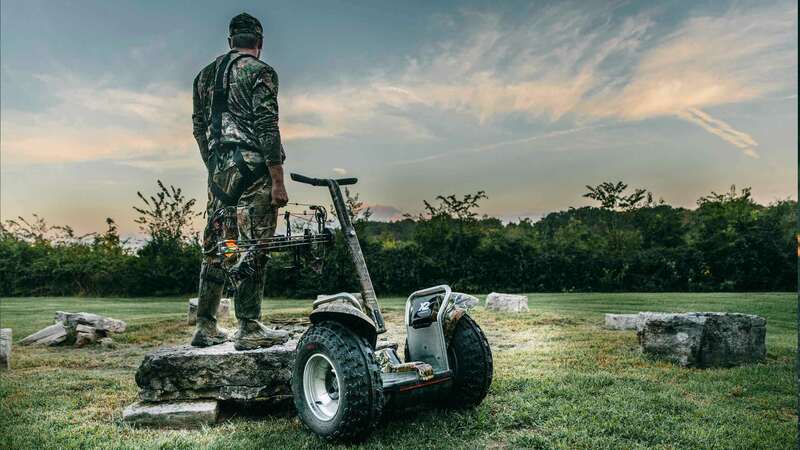 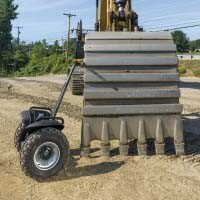 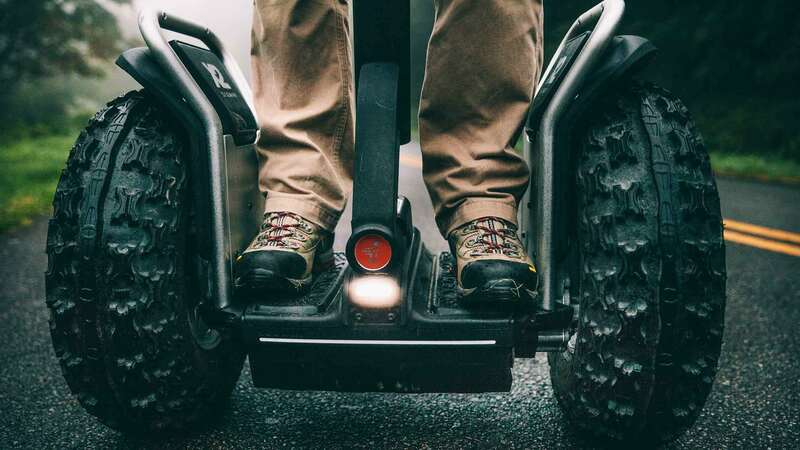 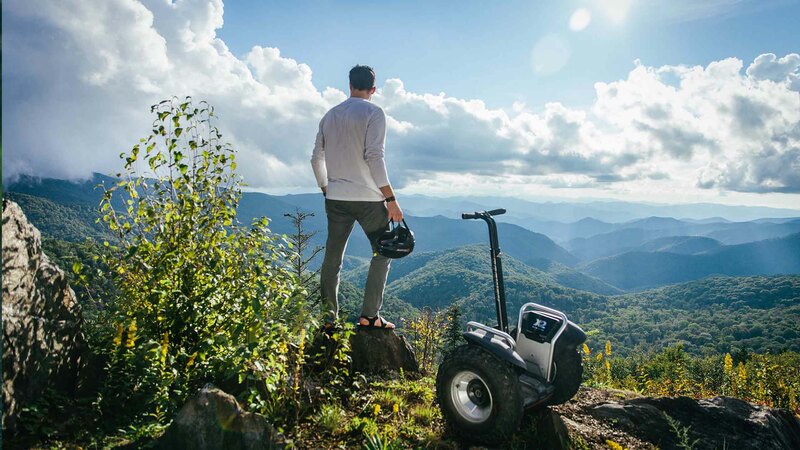 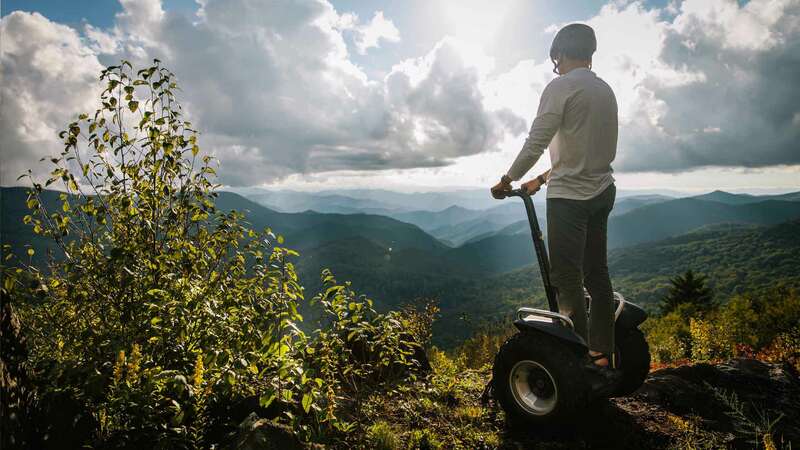 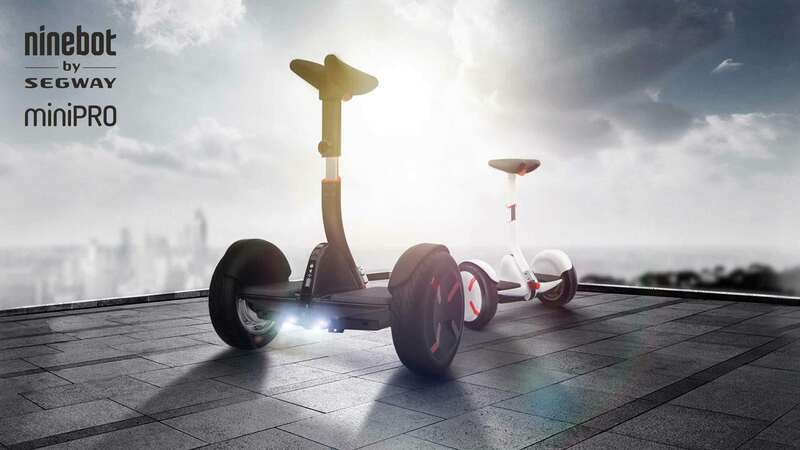 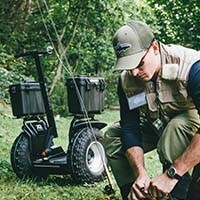 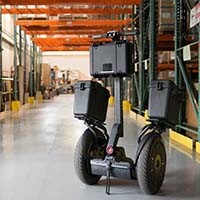 Although they’re ideal for short jaunts, Segway PTs can travel as far as 24 miles/38 km on a single battery charge, depending on terrain, payload, and riding style. 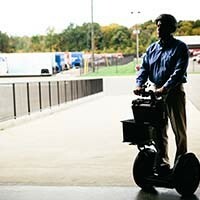 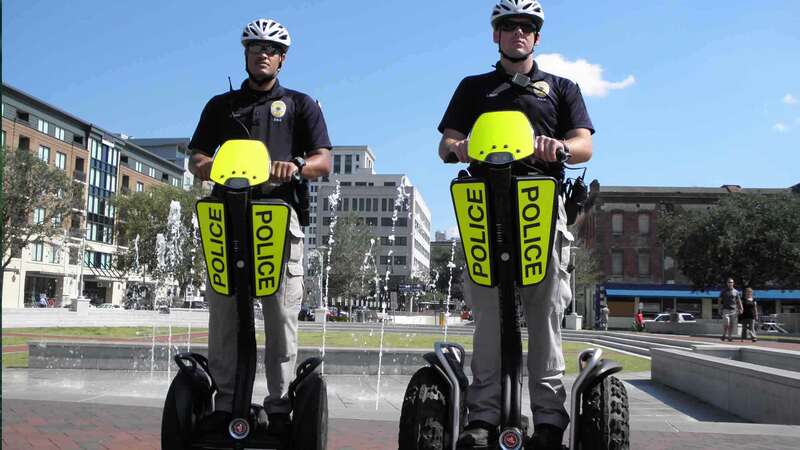 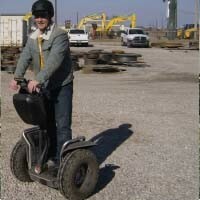 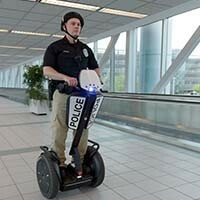 While a Segway PT is incredibly fun to ride, it is serious transportation designed for today’s world. 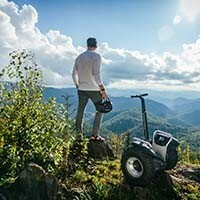 Any products not purchased through Segway UK or from an Authorised Segway UK Dealer will not have the benefit of the Segway PT warranty within the United Kingdom, Channel Islands and Republic of Ireland.